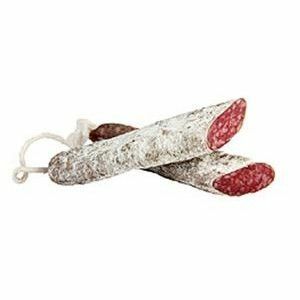 Fuet is a Catalan thin, cured, dry sausage of pork meat in a pork gut. The most famous is made in the comarca of Osona and is also known as Vic fuet. Other places that have long tradition of making it are the city of Olot and the surrounding zones.